Model 6800 Double Hung - Welcome to Interstate Window & Door Company! State of the Art Window Design - Our top-of-the-line vinyl model offers beauty, performance and versatility - everything you want in a window. Remarkable beauty, exceptional performance and distinctive design of the InVision Model 6800 window leads the way in energy efficient vinyl windows from Interstate. World class engineering and advanced material science creates a new window standard for performance, economy, strength and efficiency..
• Up to 14% more glass and light than many traditional wood and vinyl windows. 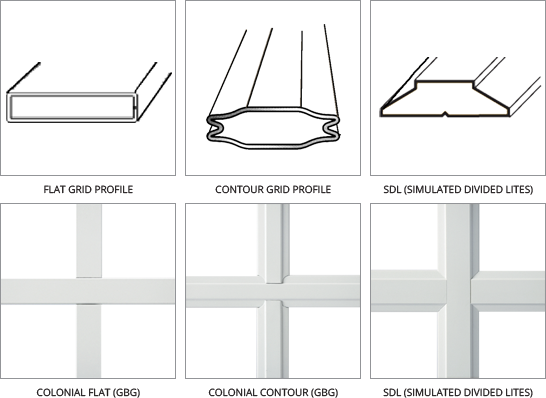 • Over 20% more vinyl by weight than many typical vinyl double hung windows. 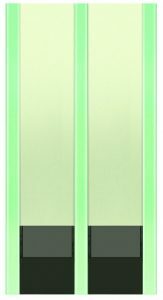 • InNergy Rigid Thermal Reinforcement now standard in double hung keeper rail for added strength. • Double Hung now at PG-50 structural and water rating “out of the box” withstands wind and wind driven rain to 143 mph – gateway size 40” x 63”. 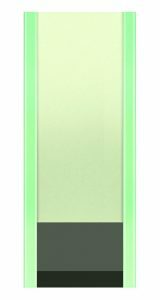 • Incredible Double Hung Triple Fuel Saver Glass U-Factor now at .16 (low e/low e/clear, argon/argon) with U-factor as low as .13 on other InVision window styles. • Obsoletes the questionable practice of foam filling sash and frames. • Obsoletes expensive krypton gas. • U-factor up to 54% better than ENERGY STAR Most Efficient qualification. • Narrow frame and sash design: More Glass + More Light = More Window! • Up to 15 times less air leakage than ENERGY STAR qualification. • Four beautiful interior laminates now in stock: Dark Oak, Winchester Light Oak, Cherry & Natural Cherry. • Unlimited exterior paint colors. • Low profile tilt latch for easy tilt-to-clean. • Continuous InterLock promotes security and structural strength. • Multiple internal chamber placement designed for superior structural and thermal performance. • Anti-drift design keeps top sash in place when operating primary lower sash.